Human trafficking, or people for sale, is a global crime problem. It affects the lives of millions of people around the world. Traffickers deceive desperate people from all corners of the world and force them into exploitative situations every day. 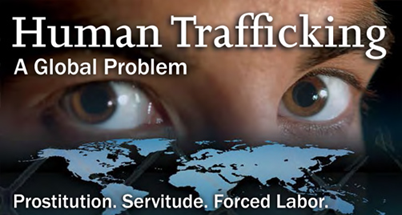 While the best-known form of human trafficking is for the purpose of sexual exploitation, hundreds of thousands of victims are trafficked for the purposes of forced labor, domestic servitude, or for organ harvesting for medical transplant. This program examines the local problem of trafficking and how it is affecting our region.